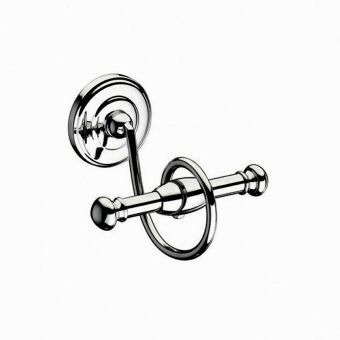 Inject your bathroom with an aura of Victorian elegance with this Bayswater Double Robe Hook. 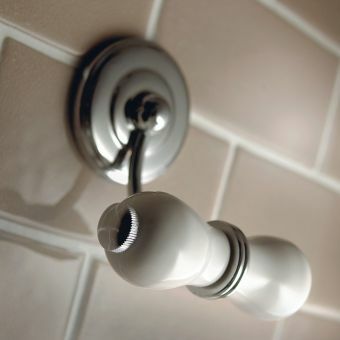 This is an essential accessory for any bathroom with a more traditional aesthetic. 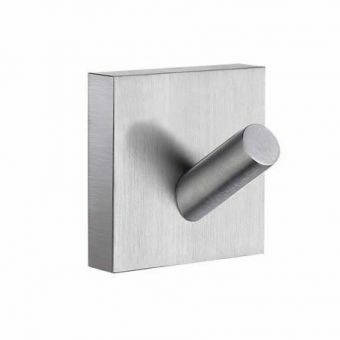 The hook is crafted from only the best quality material and it is stunningly finished in a polished chrome effect. 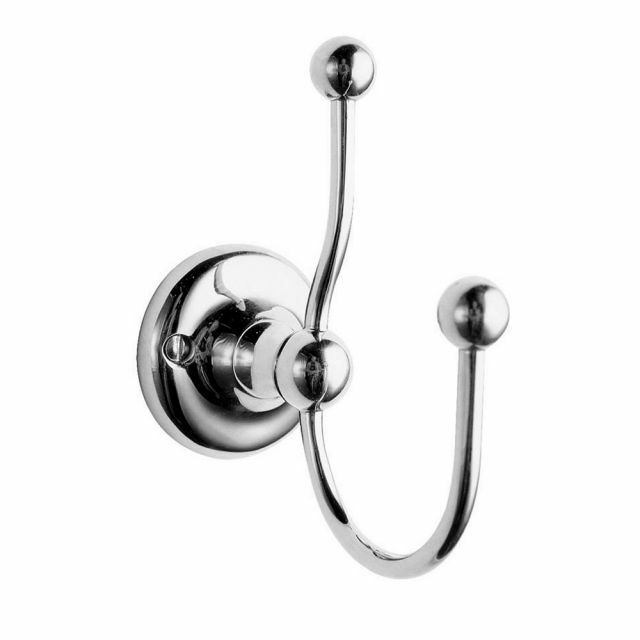 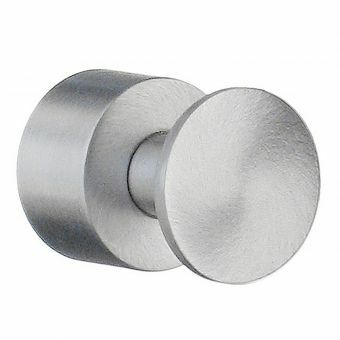 It is also made of high-grade brass, a metal is known for its durability, so your robe hook is guaranteed to continue to elude classic elegance for years to come. 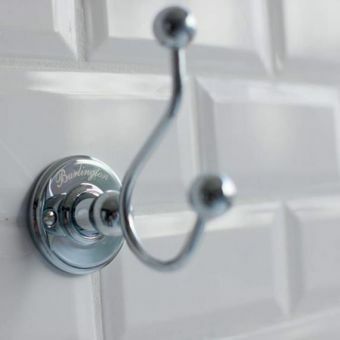 A robe hook is essential if you want to organise and declutter your bathroom. 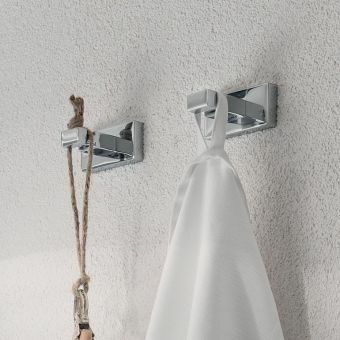 This surprisingly versatile product is able to hold robes, towels, clothing or wash bags. 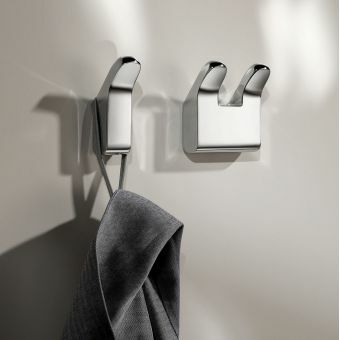 The product has two hooks, which maximises the total number of items it can store at once. 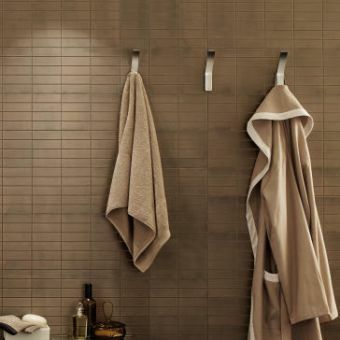 It is the perfect addition to stylish smaller bathrooms as the wall-mounted design is space efficient; an excellent alternative to radiators or bulky shelving units.